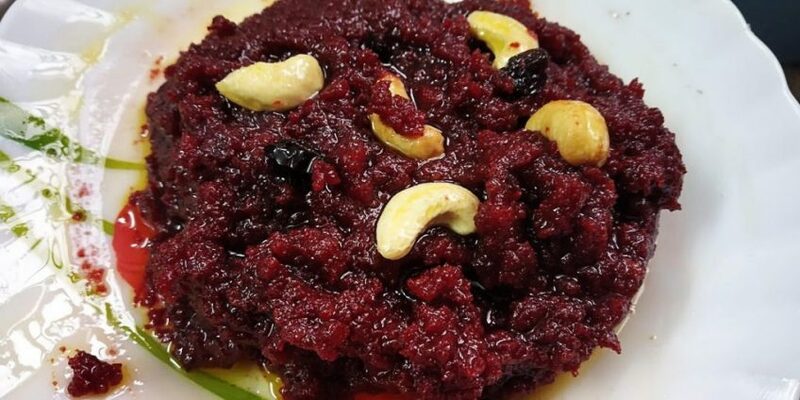 Beetroot Halwa is a delicious and healthy eye-catching homemade style dessert. 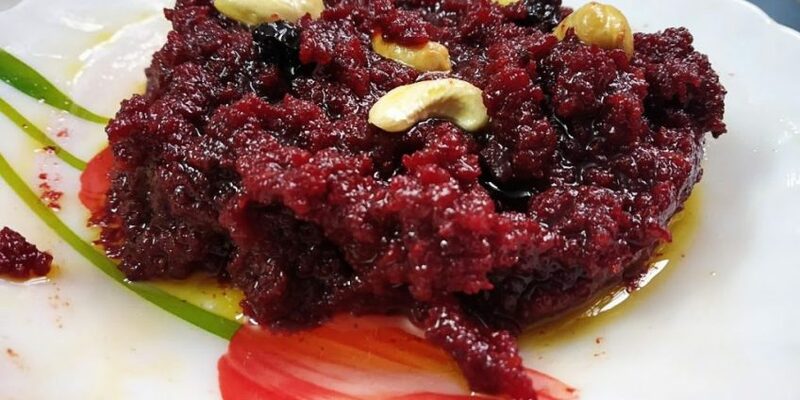 Even, those who fight beetroots will cherish this wonderful root once they try. 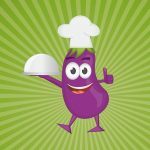 Keep and reserve in the refrigerator it will be good up to 10 days. 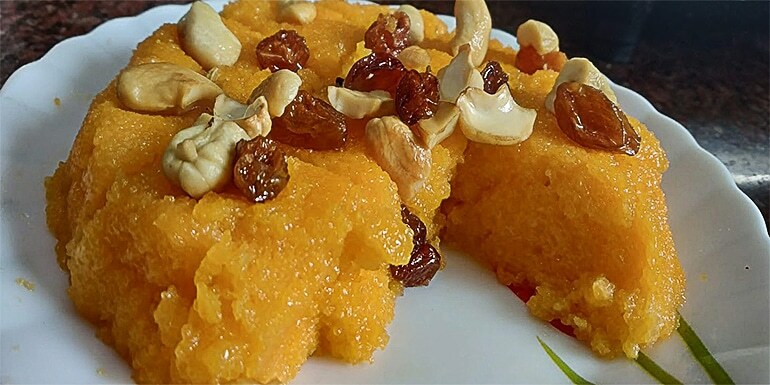 Also, see Dudhi Ka Halwa Recipe. Wash and peel the skin of beetroot and slice into cubes. Boil milk with a medium flame until it reduced into half of its initial volume. Once it boiled add cubed beetroots. 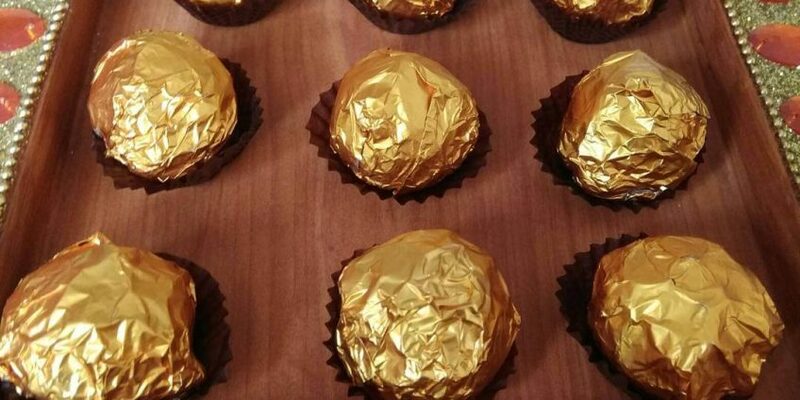 Once it boiled, keep it aside to cool. Then grind into a smooth paste. 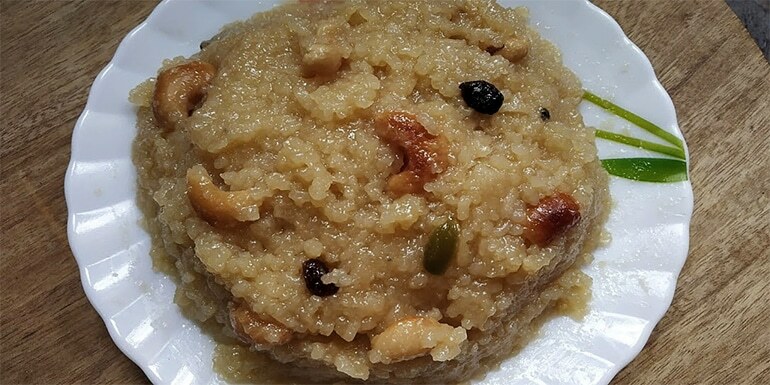 Heat ghee in a bottom-weighted vessel with medium flame once hot fry cashew nuts and dry grapes then keep it aside. Finally, garnish with fried cashew and dry grapes. 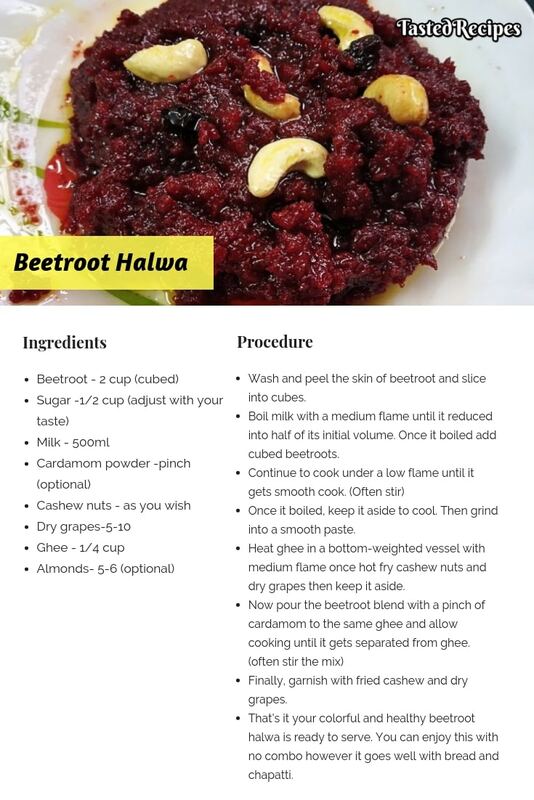 That’s it your colorful and healthy beetroot halwa is ready to serve. You can enjoy this with no combo however it goes well with bread and chapatti.